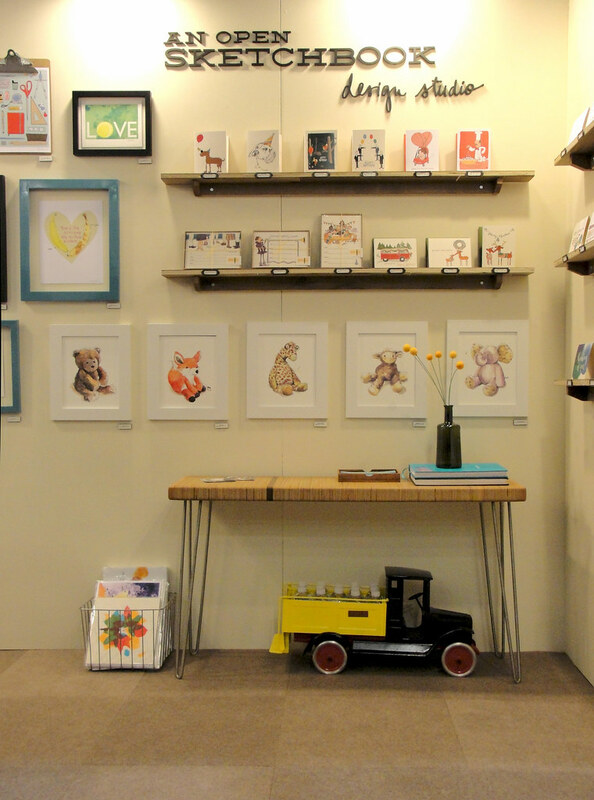 You may remember we were singing like Charlie Bucket and Grandpa Joe back in December when we learned we'd received our 'golden ticket' and been accepted to exhibit at the National Stationery Show. This had a been a dream of ours for a long time, ever since we attended the show as guests in 2006. While it's still a little early to give an honest assessment of our success at the show, one thing is for certain: we worked our hearts out getting prepared for it. Literally, blood, sweat and tears went into getting us to the point where we could confidently present our new business on a national stage. 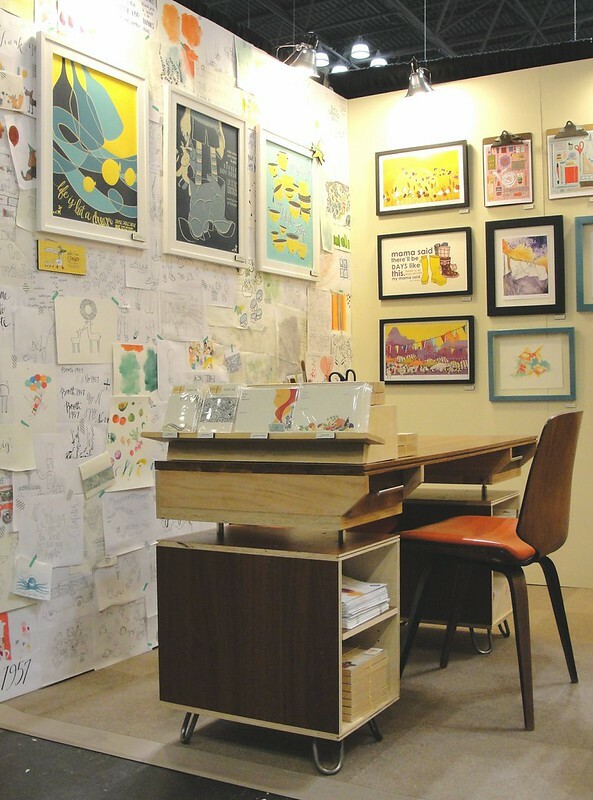 Working on a very limited budget, we made the most out of 80 square feet of New York real estate, making nearly everything, from the booth itself, to the desk, shelves and 'wallpaper' by hand. Edgar joked that if we had the skill to weave the carpet tiles, we'd have done that too. Below is a glimpse into our process, from beginning to end, with a few notes along the way. If you are also considering exhibiting at a trade show for the first time, we hope this will give you some insight into the inner workings. And, if you have any questions, please don't hesitate to ask. We couldn't have done this without the guidance of those who had mastered the art before us! 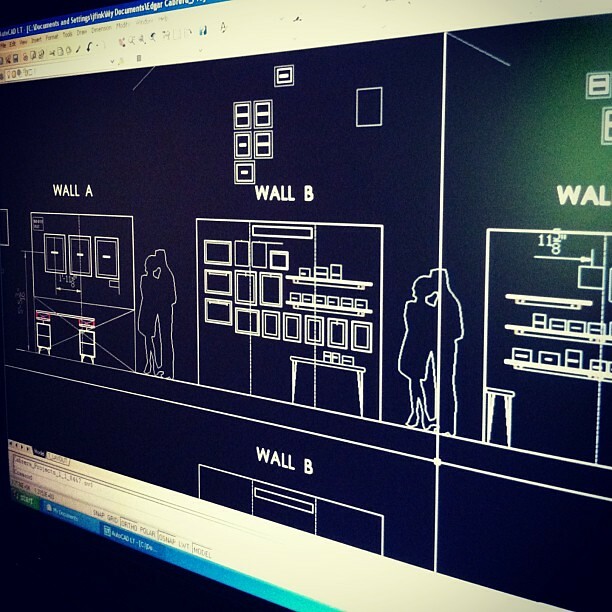 We began conceptualizing our booth as soon as we signed the NSS contract. What began as sketches on the backs of envelopes eventually turned into precise measurements on the computer...and later, a construction site on our back deck. 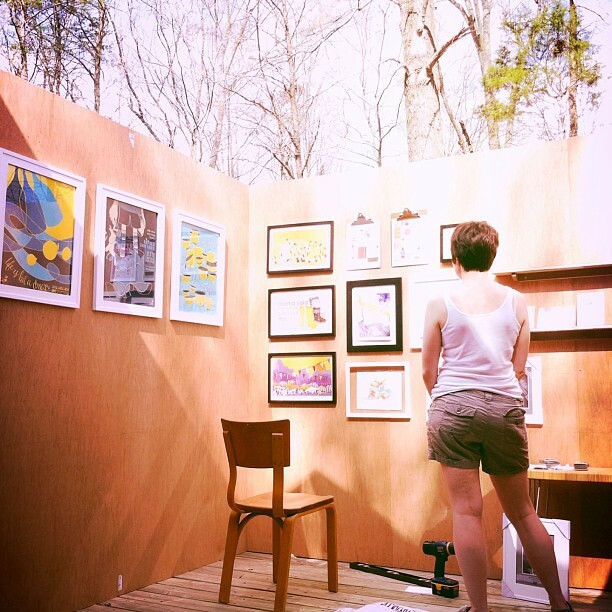 We're always intrigued by the work spaces of others, and thought to share a piece of our own would be the best way to represent ourselves to those unfamiliar with our work. With this in mind, we tried to pull as much of our studio into the booth as we could. 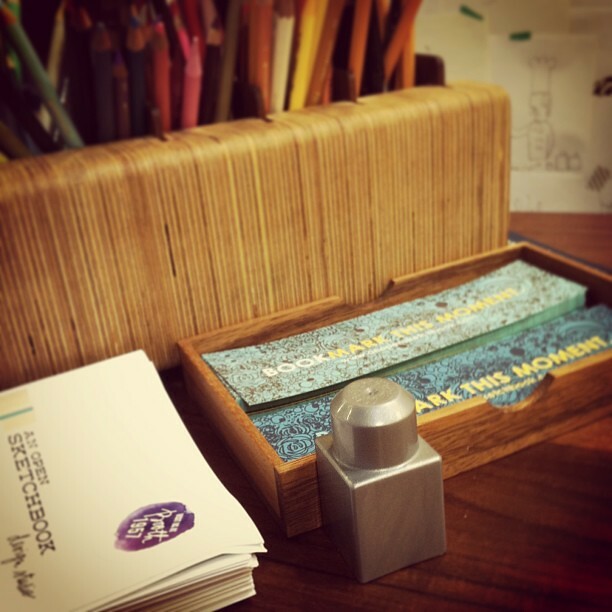 Edgar even created a mini-version of my desk as a place to sit and meet with potential customers. Like the original, this version was made entirely out of scrap materials, including reclaimed teak and walnut flooring. One of our primary concerns throughout our design process was the transportation of the booth to NY. 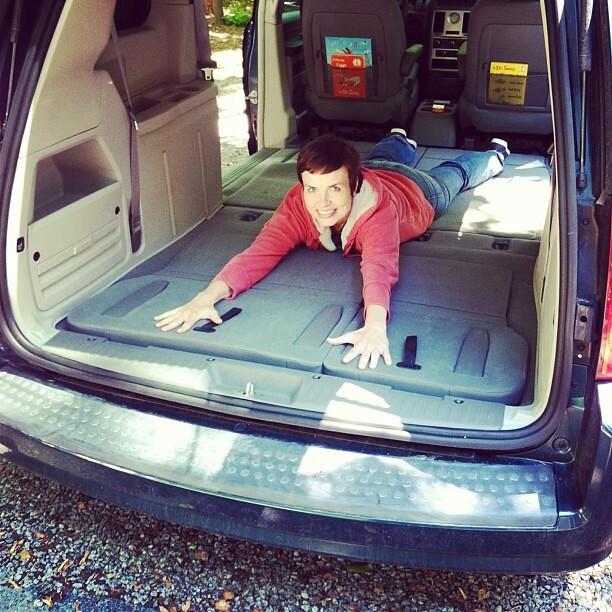 Rather than paying to have it shipped (as many smart people do) we chose to load it in the back of my parents' van and make the trek up the east coast. After lots of careful measuring, we constructed the partition walls so they fit with only an inch or so to spare. The process of booth construction had just begun when we arrived in NY. Over the course of the next two days, we made no less than 55 trips in and out of the Javitz Center unloading the car and making the quarter mile trek to Aisle 1900. It was during this process that I realized I spend far too much time at the drawing board, and not enough working out! In the end, however, all our planning paid off and our booth came together just as we envisioned. With the last minute addition of a one of my dad's Buddy L Trucks and a Lego Miles had slipped into Edgar's bag for good luck, we were ready to share our sketchbook on a grand scale. The interns couldn't make it to NY, but they were still a fixture in our booth. 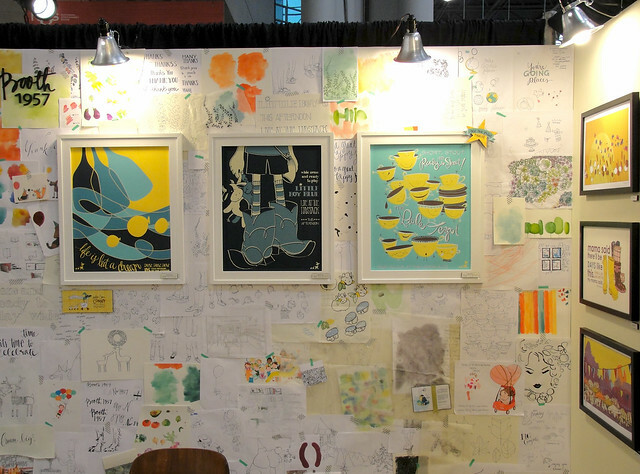 Without a doubt, our wall of process work was the most discussed aspect of our booth. As we designed our collection for the Show we accumulated pages and pages and pages of sketches. We figured using these scraps to create a wallpaper for our booth was one of the best ways to bring our home studio with us. Time and time again, visitors remarked about how this revealed the authenticity of our work: truly, one of the highest compliments we could earn. 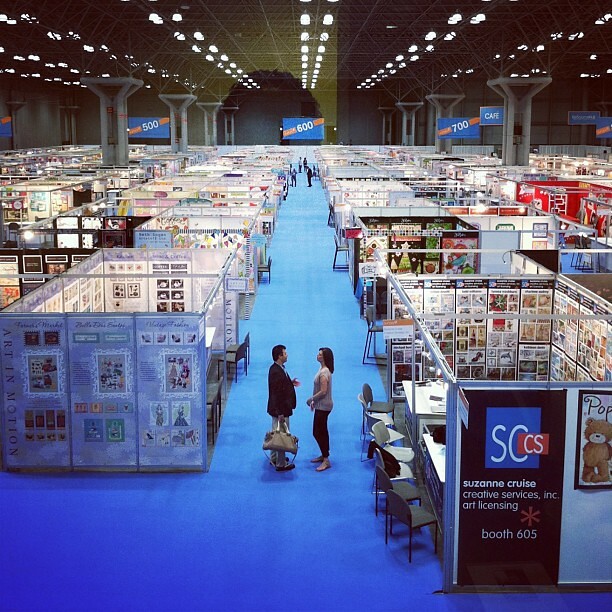 Looking back, we are keenly aware of just how much we invested in presenting our work at NSS. It's exhausting just writing about! However, this is more than made up for by the many nice folks we met at the show, from retailers to manufacturers to students to Internet friends who stopped by to say hello. to other designers who were there dreaming the same dream. May this booth mark the beginning of a new exciting chapter. I am blown away (but not surprised!) at all that went on behind the scenes to make this happen. 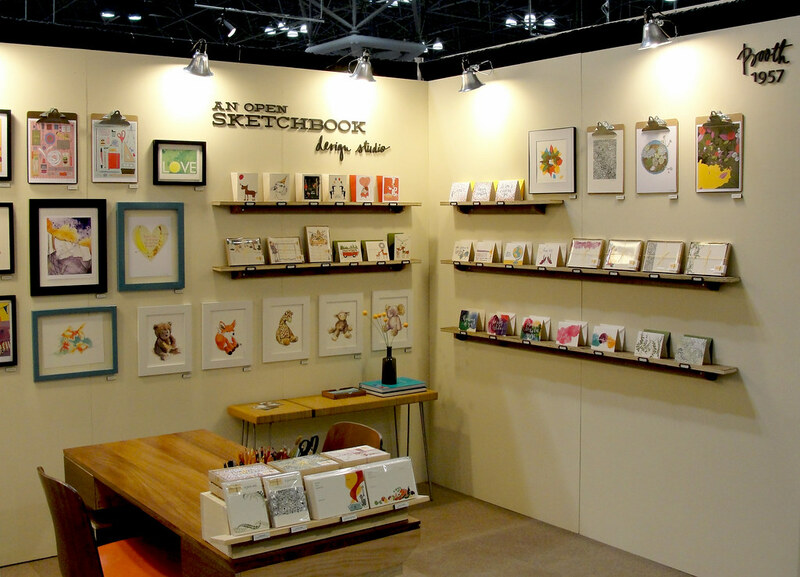 It paid off, too -- your booth looked terrific and I would have never guessed it was your first year as an exhibitor. 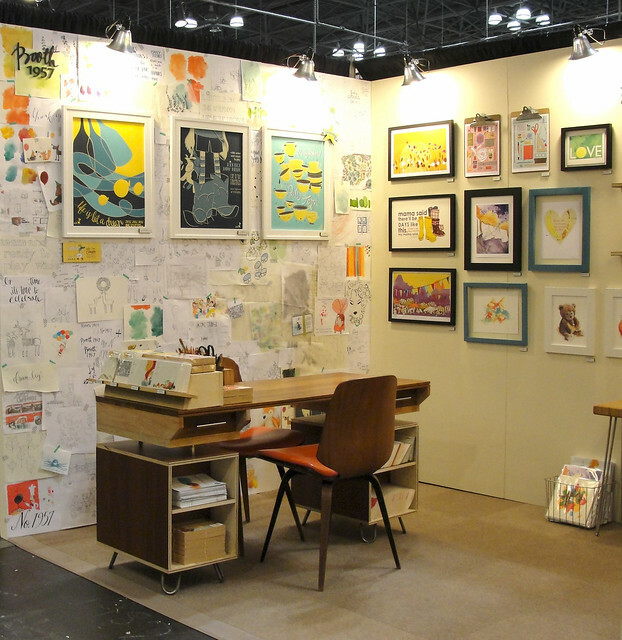 Every part of your booth was exquisite, down to the the 'working wall' behind your desk and the picture of the interns. You and Edgar are an inspiration! Your booth is absolutely brilliant..love it. Such a lot of work to prepare, and a great idea to make a 'mock up' of it on your deck at home...what better way to visualize 'the set'. 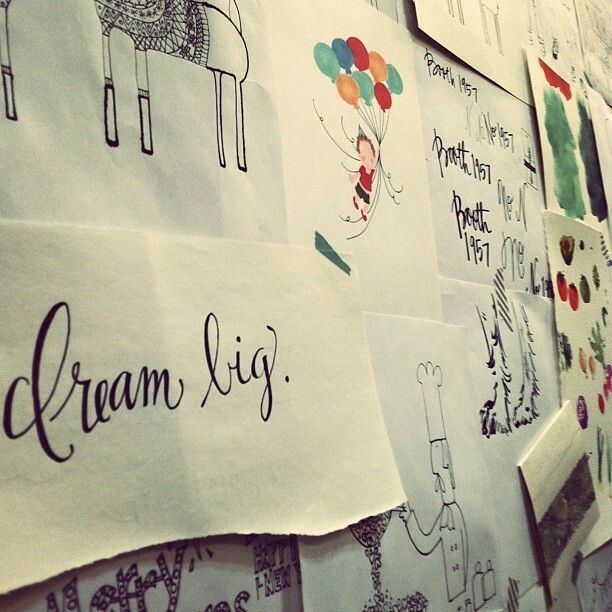 I too agree with your visitors that the wallpaper sketches and notes was an inspired idea, makes your work so personal and real. Fingers crossed that all the work will pay dividends for you. It looks amazing and is so inspiring! Good luck with the future!! ps it's so nice to see one of your honeymoon photos thrown into the mix. you know? the one with suzanne in the back of the van :)! And wishing you everry success as you continue to pursue your dream! Everything looks awesome! I'm sure all your hard work paid off in many ways. Congrats!! Truly inspiring to see all that hard work come together. I'm sure you two are on the road to something great! "The process" that you share is what attracted me to your blog and is why I return again and again. The process wall was a brilliant idea. Thanks for the sharing. i love every inch of the booth you created! it really conveys your style. i wish i could have seen it up close and personal. Wow! So incredible. 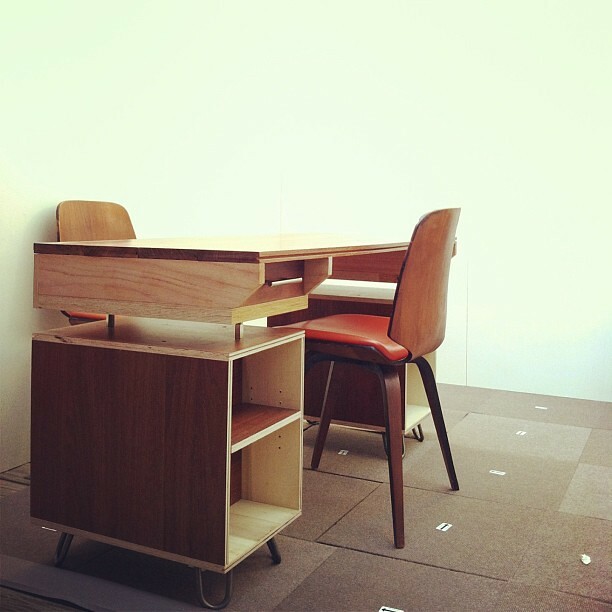 What will you do with the mini version of your desk now. Contest? LOL! I think the art wall was a brilliant idea. Congrat's again! Planning it out so very carefully paid off - the booth was beautiful! 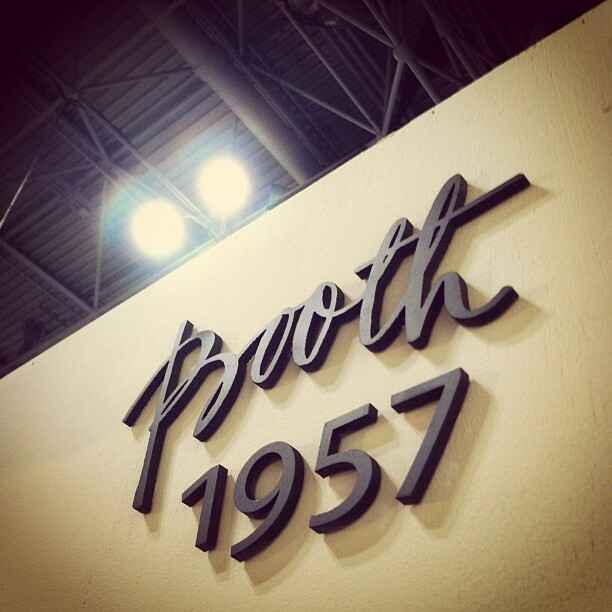 And, can I say, you all getting booth 1957 is a little bit of awesome! I've considered doing a few small craft fairs, but then looking at the inventory I'd want to have available at the show, and the amount of work involved, would squelch the idea. Doing all you did with the interns in the house? 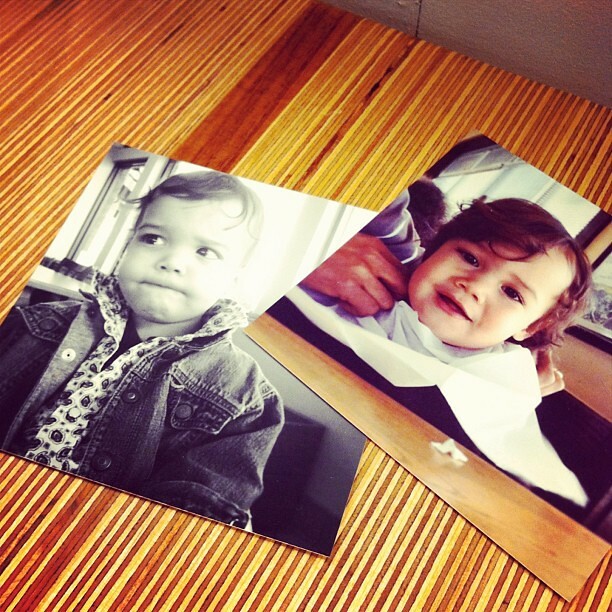 Oh, my, goodness - You two are rock stars!!! Thank you all for your kind words about our booth! Aimee and Cindy--Can't tell you how happy I am that I got to meet the 'real' yous! Molly--You can do it! For us, having a massive deadline and investment was the kick in the pants we needed to move forward. Otherwise, I don't think we ever would have made the progress we did. So awesome! I wish I could have been there! It's just amazing. Simply amazing. You both work so hard and put so much of yourselves into this whole adventure - you desire lashings of success and happiness. Jenibo, Angie and Rebecca---Thank you all so much!